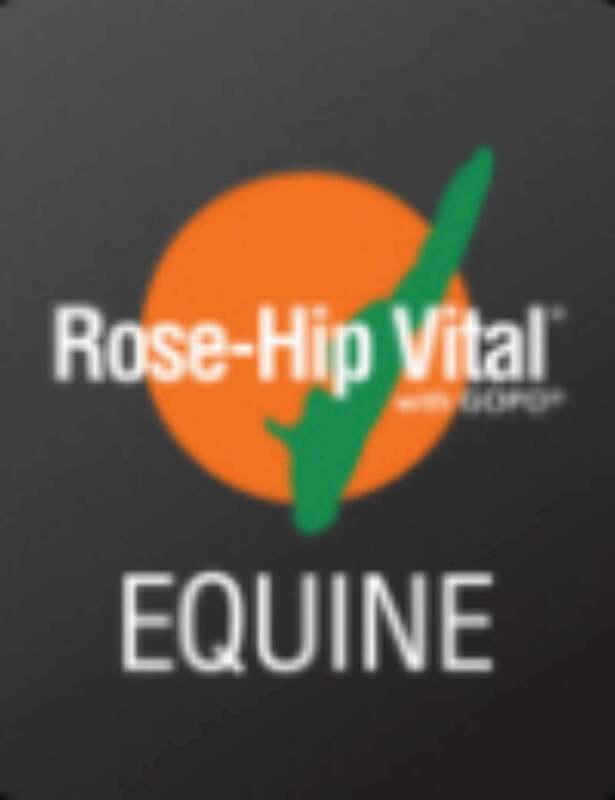 What is Rose-Hip Vital® with GOPO®? 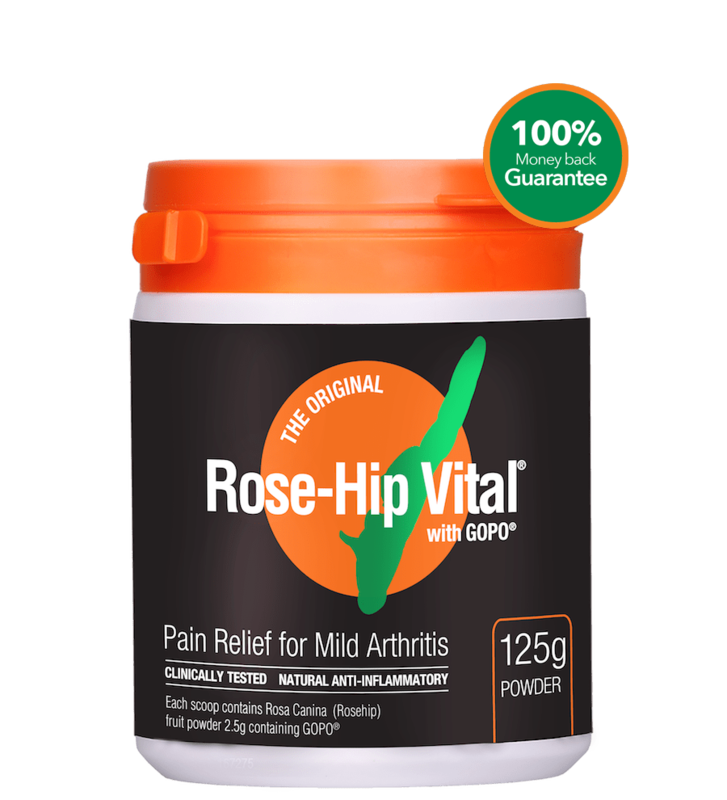 Rose-Hip Vital® with GOPO® is a scientifically and clinically tested plant-based anti-inflammatory, powerful antioxidant and natural source of vitamin C which may help relieve symptoms of mild arthritis, improve joint mobility and supplement nutrition for general health and wellbeing. What is Rose-Hip Vital® with GOPO® made from? Rose-Hip Vital® with GOPO® is made from 100% pure and natural Rosehips grown and manufactured in Denmark with high quality patented processes. Nothing else is added. GOPO® has scientifically and clinically tested anti-inflammatory and antioxidative properties. To watch a short video explaining how GOPO® works click here. To learn more about GOPO click here. Patented extraction and drying processes ensure Rose-Hip Vital® with GOPO® is rich in vitamins, minerals and the anti-inflammatory compound GOPO®. Rosehip products that do not contain GOPO® have not been shown to have anti-inflammatory properties. Is Rose-Hip Vital® with GOPO® supported by scientific research? Yes. To date more than 30 scientific studies, including 9 clinical trials have been conducted on Rose-Hip Vital® with GOPO®. How much natural vitamin C is in Rose-Hip Vital® with GOPO®? Rosehips are known to be one of nature’s richest sources of natural vitamin C. The patented processes used to manufacture Rose-Hip Vital® maintain the integrity of the natural vitamins and minerals found in the Rosehip. 2.5g of Rose-Hip Vital powder contains 12.5mg natural vitamin C.
Click here to learn about the difference between natural and synthetic Vitamin C.
Does Rose-Hip Vital® with GOPO® support general health and wellbeing? Yes. The antioxidant and vitamin C combination supports general health and wellbeing. Can it help the immune system? 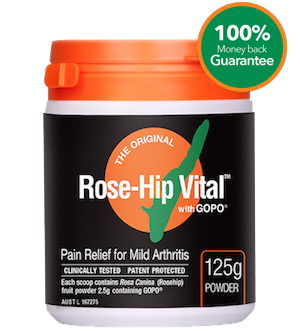 As Rose-Hip Vital® with GOPO® contains a range of antioxidants and natural vitamin C, yes it dose boost immunity. Does it contain yeast, gluten, wheat, dairy or lactose? Does it contain any shellfish? Does Rose-Hip Vital® with GOPO®contain nuts? No, the capsule is made from Bovine (skin of beef). Is the powder in the capsule vegetarian? Yes, Rose-Hip Vital® powder is 100% plant-based. Can I give Rose-Hip Vital® with GOPO® capsules to my dog? Yes. Our equine, canine and human formulas are all exactly the same. While some dogs might prefer capsules over powder, the capsules are more suited to dogs weighing less than 15kg. Heavier dogs will need many capsules which may not be easy to administer or cost effective. Make sure you follow canine dosage instructions for best results.